Direct Support Professionals of Indiana seeks to empower the lives of those we serve, through education, awareness, and collaborative action. Are you interested in becoming a DSPIN provider, or have an interest in joining DSPIN as a board member? 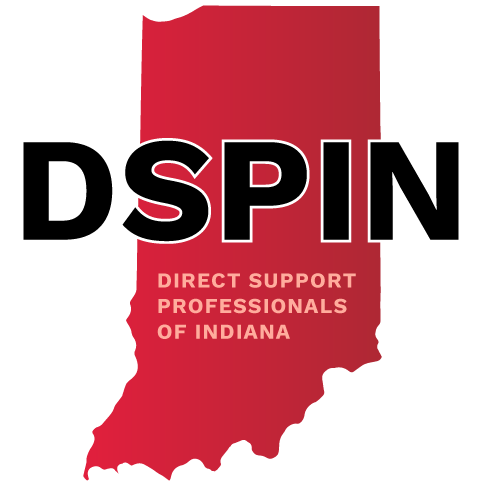 At DSPIN, it is our mission to bring quality training modules, resources, and a like-minded community to Indiana’s direct support professionals (DSPs). We work to enable those who have made it their life’s work to help others. With membership opportunities, a community forum, and educational resources, we also seek to elevate the quality of care delivered by Indiana’s direct support professionals. DSPIN understands that many direct support professionals are often called upon to make independent decisions that directly impact the care of those they serve and the community at large. As a member of our organization, we will empower you with the tools you need to ensure you deliver the best quality of care. Do you know someone with a physical and/or intellectual disability that makes it difficult to carry out day-to-day tasks or find employment? Read up on DSPIN’s mission and our latest efforts within the community. Discuss your work as a direct support professional by engaging with other professionals in the DSPIN forum. Have a question about becoming a member, or wish to become a more engaged member of the direct support professional community?